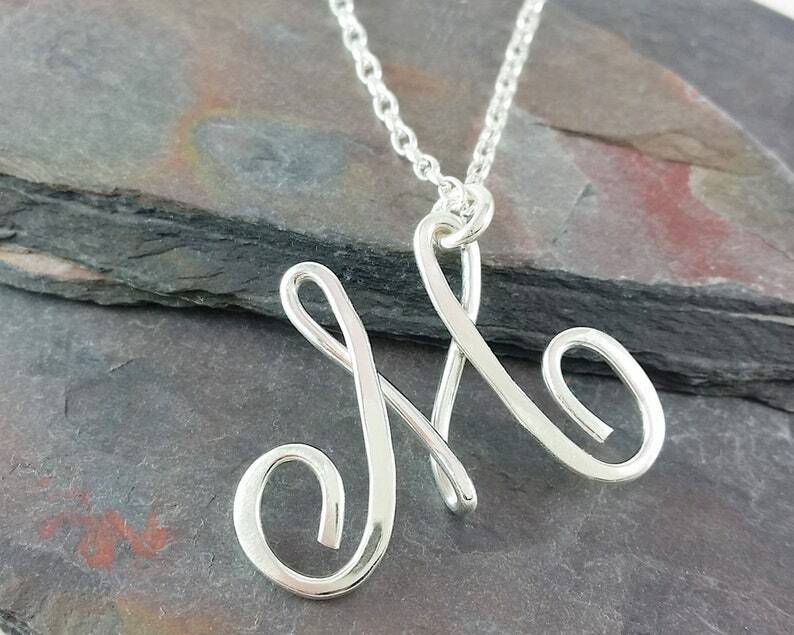 Personalized just for you, I take thick sterling silver wire and forge it into a perfectly shaped initial for you. It's cold forged to have a calligraphic script effect by design. These pendants are sturdy and strong and will last. I use a strong medium weight link chain in your choice of the lengths listed. The initial measures about 1 to 1 1/4 inch tall. There is a smaller version in another listing in my shop. I love this necklace, the length is perfect, and the S is beautiful. Love it, Love it! Also, I appreciated the signed invoice and the life saver candy. I'll be purchasing another necklace soon.